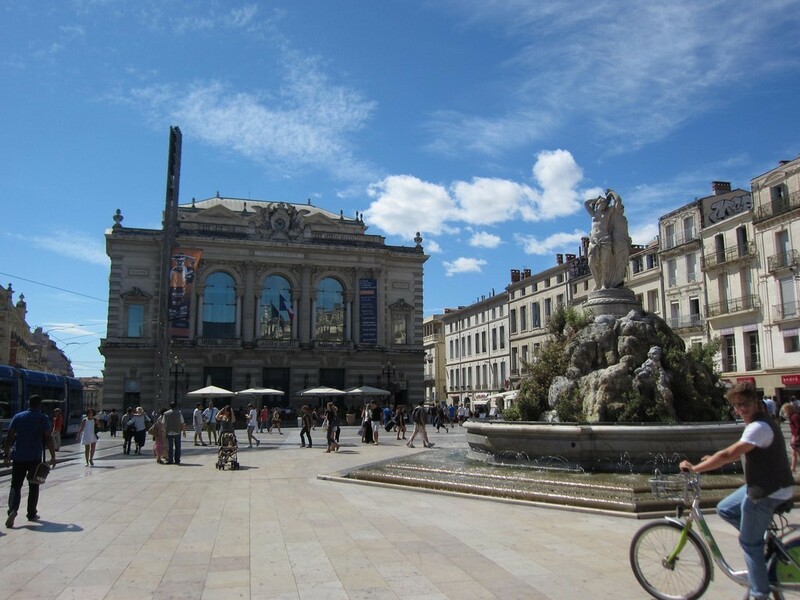 – The Place de la Comédie, with the Opera Comédie built in 1888. 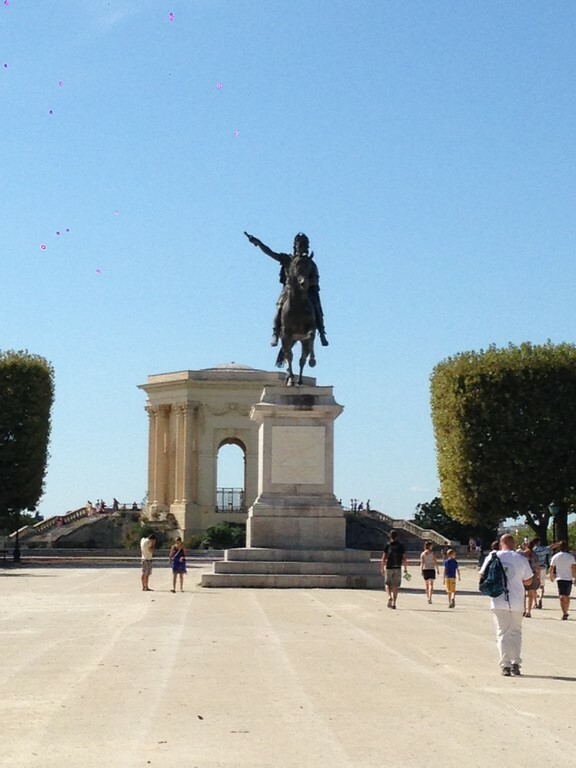 This crowded and majestic square is definitely one of the most well-know site of Montpellier. 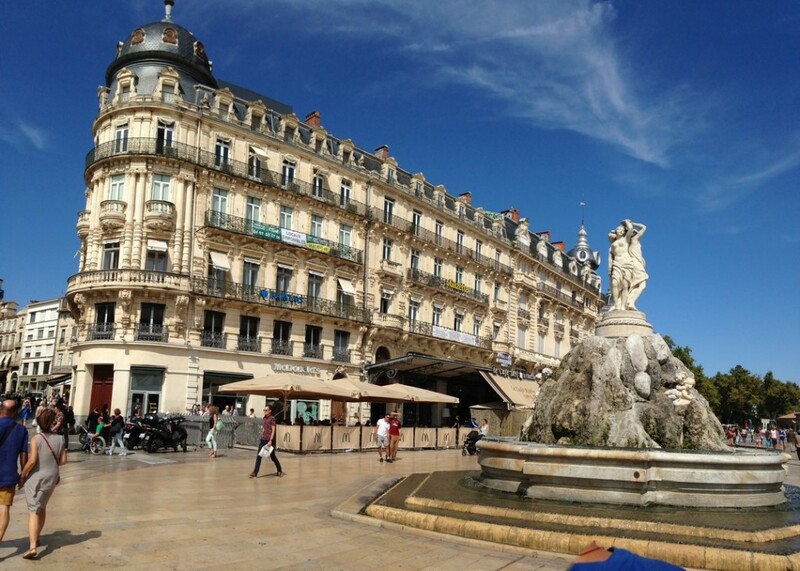 The Place de la Comédie is a buzzing and outstanding city square that inevitably attract locals and tourists. 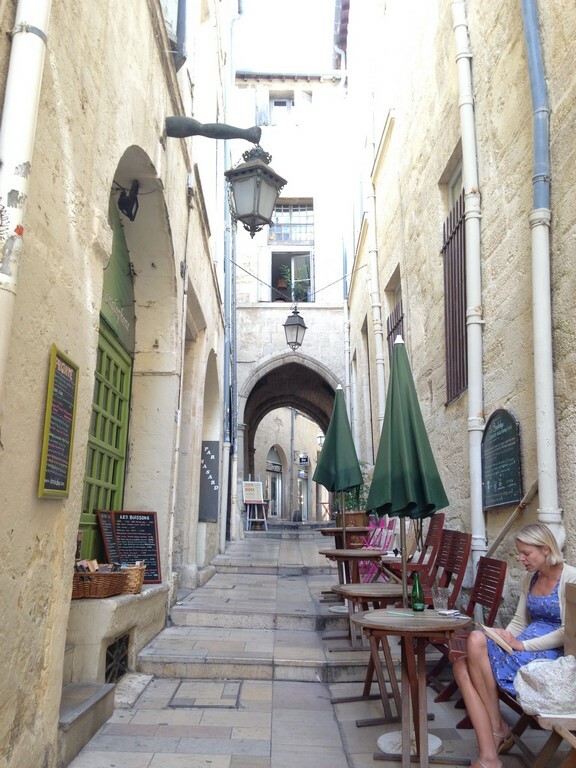 Its location is right in the middle of the city in the quarter of l’Écusson, which was the former Medieval city. 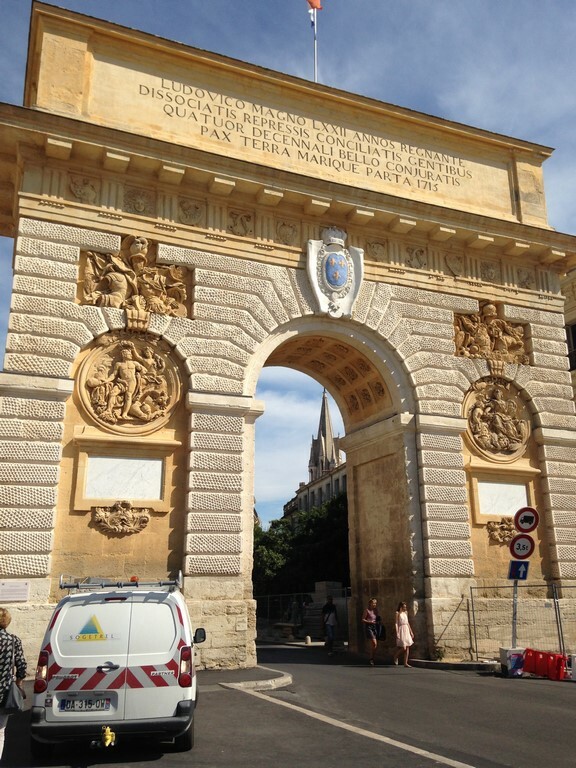 The Place de la Comédie is one of the main highlight in Montpellier, it measures some 230 meters long over 50 meters large and it goes from the Lycée Joffre to the Esplanade Charles de Gaulle. – The historic center. 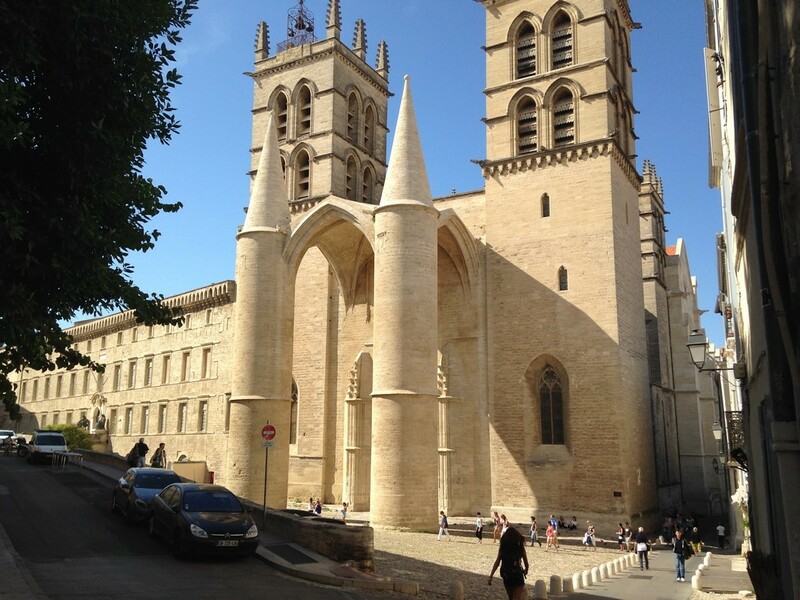 By having a walk in the historic center you will find a lot of buildings, church, monuments and streets dated from the medieval time. – Les trois Graces. Carved by Etienne Antoine in 1776 this sculpture is located at the Place de la Comedie. – The Rue du Bras de Fer (Iron Arm Street). A stunning medieval street ! – The tour des pins. 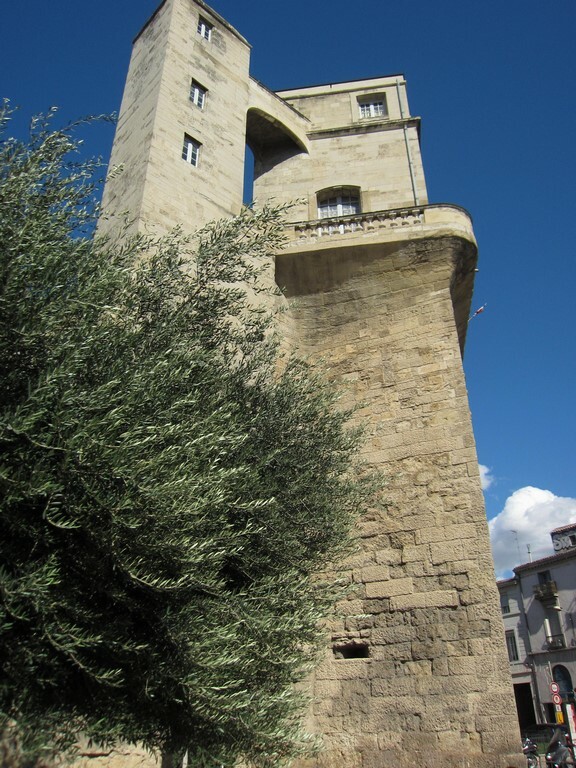 Built up around the year 1200, one the two remaining towers of the city walls. – The tour de la Babotte. Built up around the year 1200, one the two remaining towers of the city walls. – The Saint Clément Aqueduct. An aqueduct built up in the 18th century. 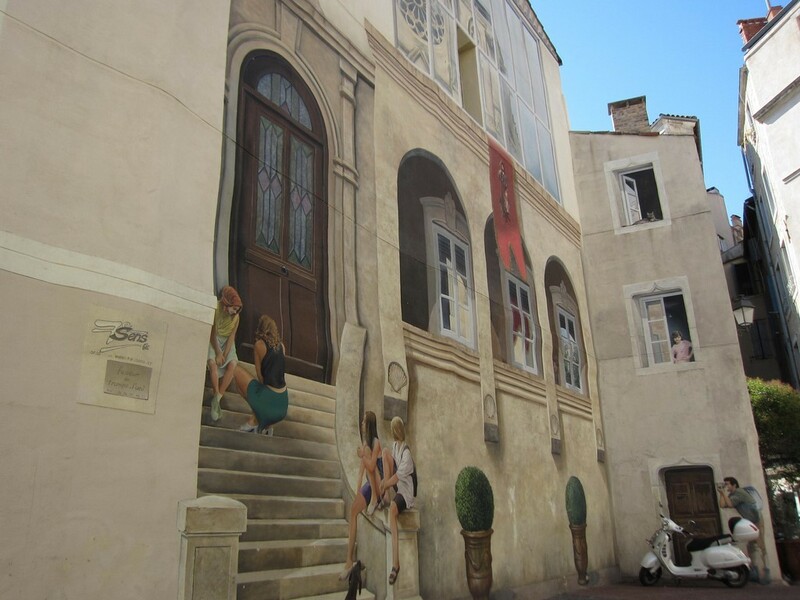 – 3D paintings on the walls. 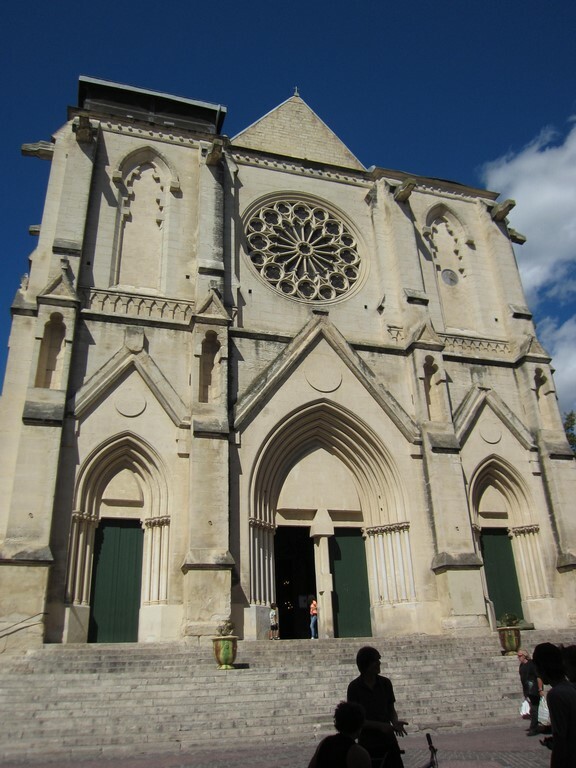 You can see them in many buildings in the historic center especially near the Saint Roch Church. – The Lez River. Just have a walk along the Lez river nearby Antigone. – The Jardin des plantes. Created in 1593, it is the oldest botanical garden in France. – The Jardin des plantes. – Musée de l’histoire de Montpellier. 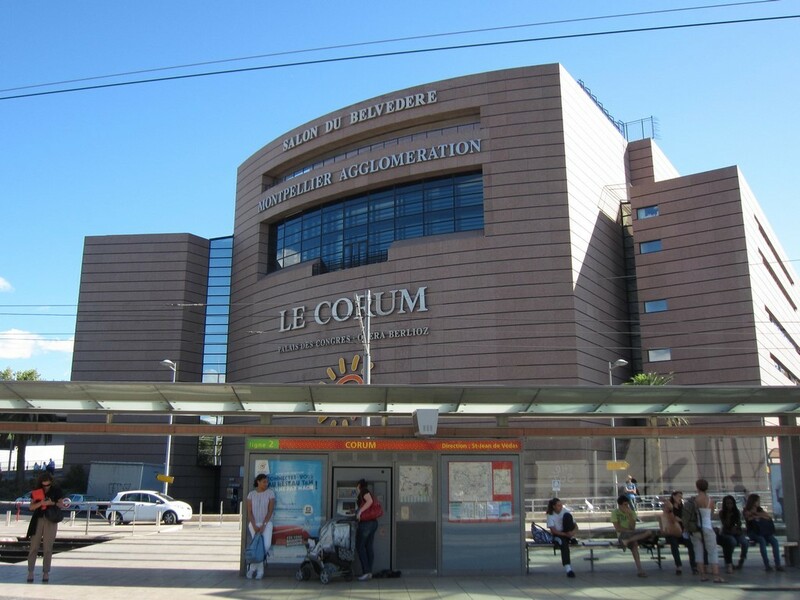 Situated Place Jean Jaurès, this is a museum about Montpellier.